Micro-electronically controlled drive elements and sensors ensure efficient engine management, take on security functions and ensure comfort and wellbeing. The need for electro-mechanical components that provide an electronic component with mechanical features has risen accordingly. Designed for the most exacting standards, particularly in automotive applications where precision, resilience and robustness are required. Our components are directly exposed to the worst conditions in the drive train. In direct contact with oil or petrol, in the high temperature zones of the exhaust system and turbocharger - put to the test by changing mechanical loads and thermal stresses. This is made possible by Jungbecker’s high-tech composite parts made of plastic and metal, which are integrated into the electronic circuits. Dashboard illumination: two LEDs and light guidance generate a uniformly linear light band that looks equally bright from all viewing angles. 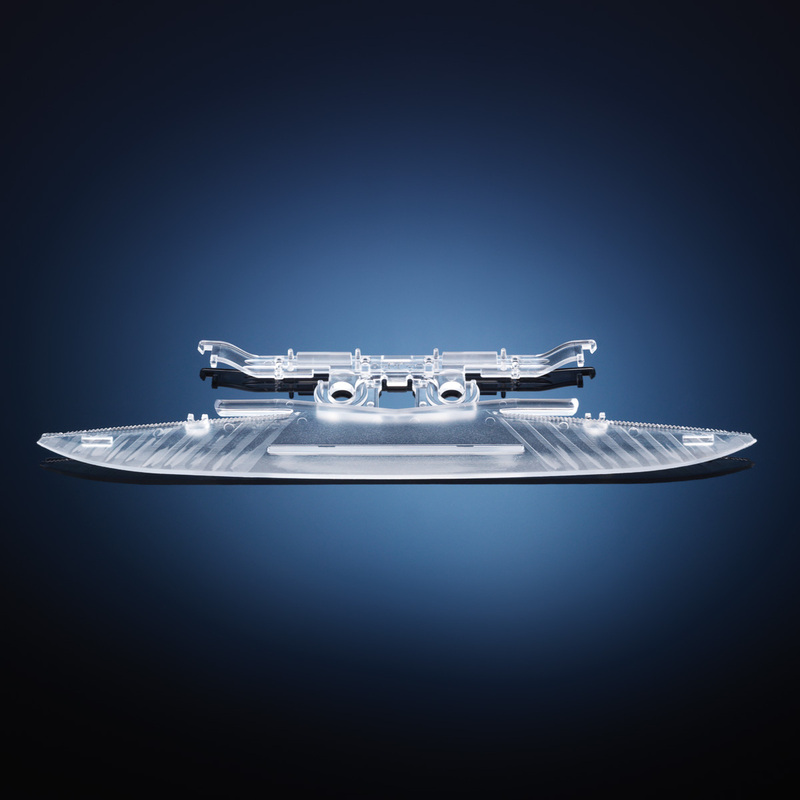 This injection-moulded light conductor generates decorative ambient lighting inside the vehicle. The LED cubes can be strung together endlessly. Here, a lightdirecting lens forms part of the housing while carrying electric connections for the power supply. 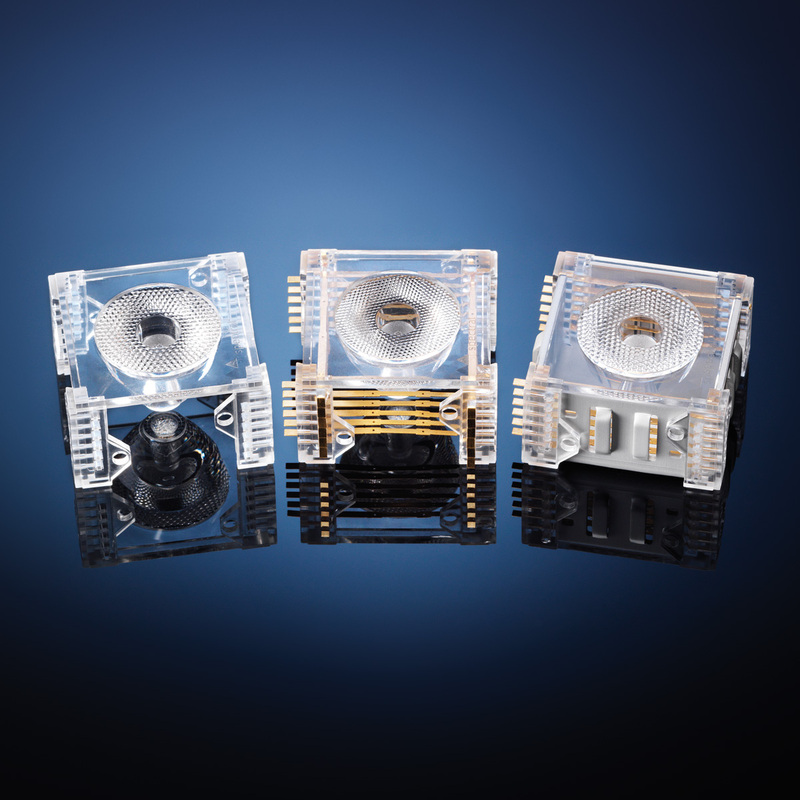 The housing rear wall has a shaping function, closes the housing and serves as cooling body for the LED. Reliability is paramount in the medical field – a single mistake can be fatal. 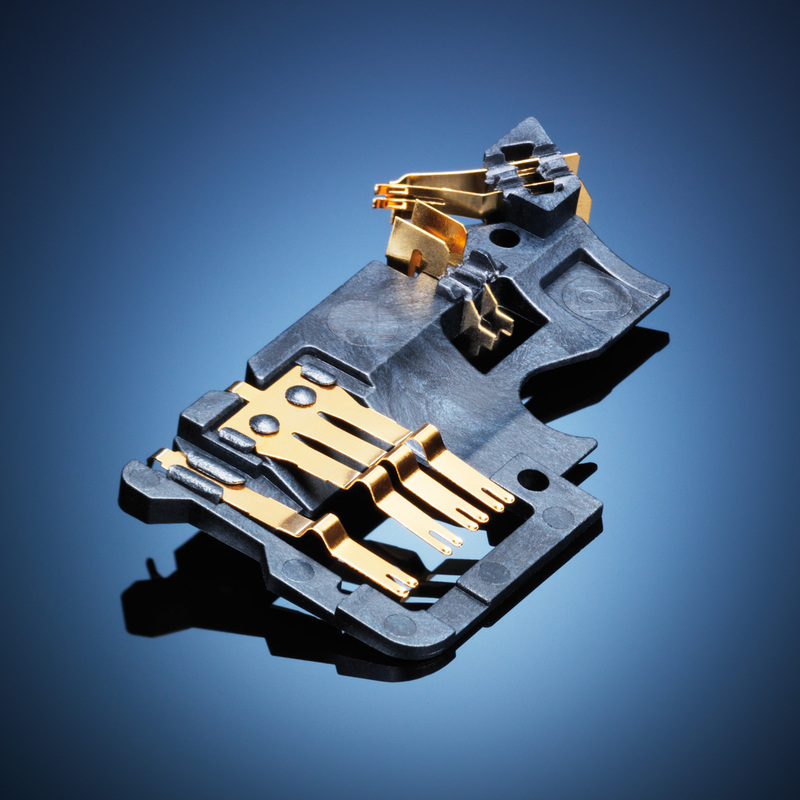 This component combines mechanical precision with extremely high-quality materials. The high-tech plastic makes the component distortion-free, mechanically resistant, chemically resistant and electrically insulating. The electrical contacts are made from gold-plated stainless steel, completely unbreakable with precisely defined switching point and cycles. Since the component is used in medical technology, the switching function is 100 % fail-safe. Jungbecker competence in its purest form: an electromechanical circuit is safely encapsulated in a protective plastic housing. Inside is an electromagnet whose displacement is reported back to the vehicle’s control electronics via the encapsulated sensor. 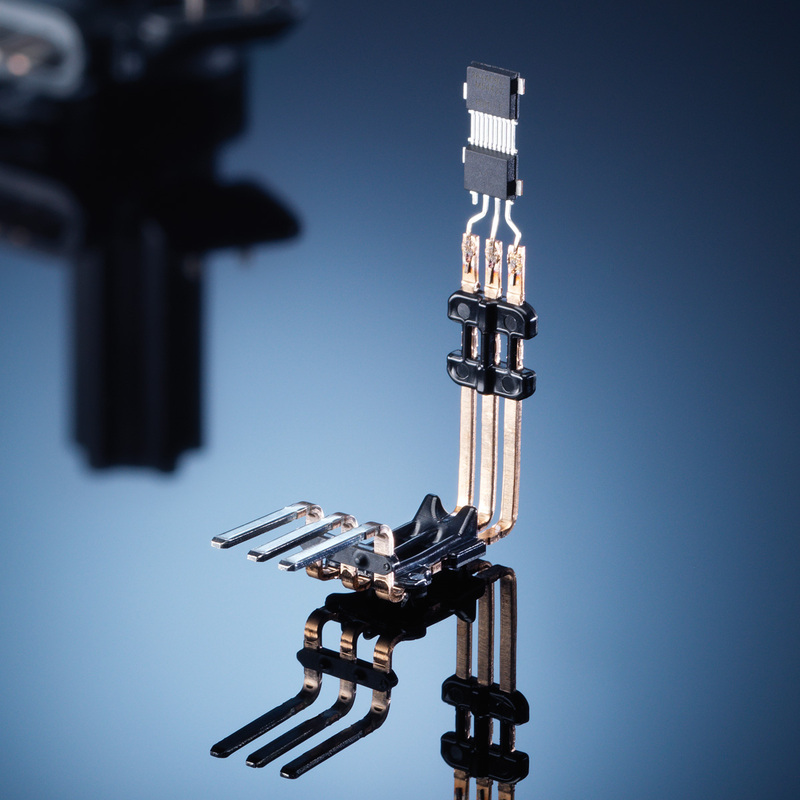 This sensor with protective circuitry, which is completely enclosed by the housing, is integrated into the lead frame. This pedal controller is a component that signals an uneconomical driving style to the driver via the accelerator pedal.